Nsuk Gist: Strike Update:Government and ASUU do not trust each other. Who Will Blink First? Strike Update:Government and ASUU do not trust each other. Who Will Blink First? With recent developments, this time seems to be the beginning of the end to the three months industrial action by the Academic Staff Union of Universities, Nasarawa State University Chapter, but there seems to be a last hurdle to cross. Government and ASUU do not trust each other. While the government maintains that the money is ready for ASUU to collect on the condition that strike must be called off first. ASUU is saying "we are not calling off strike unless we receive bank alert"
Governor Tanko Al-almakura while on Media Chat at Nasarawa Broadcasting Service Lafia, to commemorate Democracy Day on Sunday, disclosed that government has made available the 20 percent of the Earned Academic Allowance, EAA, it agreed to pay the Union but with a strict instruction that "ASUU will get the payment only when it suspends the strike". “We have released 162 million Naira to the University Management but the Lecturers can only get the money if they suspend the strike”, said the governor. He explained that the reason for the decision is because of previous experience government had with the Union. “By the time they went on strike, they were not owed any salary. What they are asking for is Earned Academic Allowance. "This was about 800 million Naira and the University Administration was able to pay 400 million, remaining about 400 million. "So they said if we can pay half of the remaining money they will not proceed on the strike. "We paid 200 million Naira but they still went ahead with the strike. 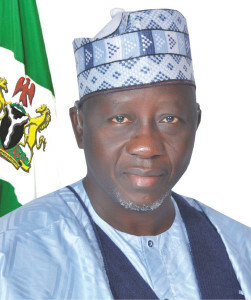 I mean that is a breach of agreement", Al-almakura lamented. For fear that the lecturers may pocket the money yet again and refuse to resume work, the governor therefore is not taking any chances. "We have released the money into the University account and I have asked the Management of the University to pay the lecturers as soon as they suspend the strike", he stressed. Meanwhile, ASUU is just as stern as the government. After it's Congress meeting last Tuesday, the Union's Chairman Dr Theophilous Lagi, said ASUU agreed in principle with the University Governing Council to suspend the strike. He added that, "as soon as members receive the money as agreed, we'll resume work". ASUU hinged its stand on the way government had handled their previous agreements. "It is not once that we have reached an agreement with government and it reneged", Dr Lagi told NSUK CampusWatch. "If they had kept to the agreement we reached before now, there wouldn't have been any need to go on strike. "We've agreed that if we receive bank alert today, we'll start work tomorrow ", he restated. However, reports have filtered in saying ASUU has scheduled another Congress meeting this Tuesday 31 May, 2016, possibly to consider suspending the strike. NSUK CampusWatch contacted the Chairman to confirm this but he rather told us that "when the decision to suspend the strike is taken, you'll be the first to know". It is now clear that both ASUU and government have trust issues, and if they decide to continue with it, the hope of an end to the prolonged strike may not be in sight. The question now is: who blinks first?